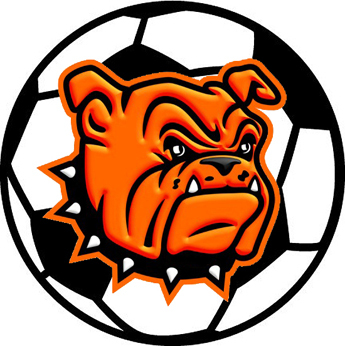 Once again Thursday in Carlsbad, the Bulldog soccer team found themselves close enough to a Class 6A opponent through 40 minutes of play to taste victory. 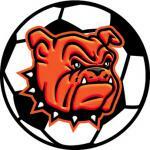 But whereas their 2-1 halftime deficit to Hobbs Tuesday was left dangling due to lightning, the ‘Dogs were unable to take advantage of their chances in the second half against the Cavemen, ultimately falling 4-1. After Carlsbad got on the board first in the contest, Artesia had answered almost immediately on a goal by Ian Robson. They were unable to hang onto the tie, however, as the Cavemen scored just before the break. “We’ve done a pretty good job this year of answering back when people score on us, and we were feeling pretty good going into halftime,” head coach Phillip Jowers said Saturday. The final minutes of the first half had begun to get chippy, reminiscent of last year’s meeting between the ‘Dogs and Cavemen, and the boys in orange spent halftime getting the over-physicality out of their heads. Carlsbad was levied in the neighborhood of half a dozen yellow cards in the final 40 minutes as the officials worked to get the game back under control. But in amidst, they were able to tack on two more goals, including a penalty kick in the waning minutes of the contest. With the loss, the Bulldogs drop to 1-2 on the season as they prepare to return home to the Mack Chase Athletic Complex Tuesday for a 6 p.m. game against Ruidoso. “That should be a much better game for us,” said Jowers. “We need to start getting it together now, because we’re 1-2, but if you go too much further in the other direction, it starts getting a little harder, as we know.